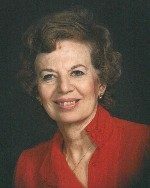 Dorothy Caroline Harris, nee Lopinot, 93, of Belleville, IL, passed away Thursday, April 4, 2019, at her home, with her family. Dorothy was born on March 10, 1926 to Clarence and Marie Lopinot, nee Emge, and was raised on her parents small farm, along with her older brother Al, and her baby sister Joan. Her father raised chickens and grew acres of tomatoes to support his family and later had a gas station at the end of their country road to further supplement the family income. Dorothy was a child of the Great Depression, she never forgot her family’s, and all families’ struggles during those times. Her childhood made her strong, resilient and filled with empathy for her fellowman and a lifelong gratitude for the tender mercies God bestows upon us all. She graduated from Notre Dame Academy in 1944, and went on to meet and marry her husband Thad W. Harris. She had two daughters whom she raised with determination and strength as a single parent, always doing what was right, no matter how difficult. Her strong faith in God sustained her all of her life. Dorothy worked for 35 years for the U.S. Marshals’ Service, and was so proud to be part of law enforcement, for which she had enormous respect. She loved art, and was a gifted artist, she loved to travel and was able to travel extensively to many countries, her favorite being Israel and Italy. She loved to garden and take care of her yard. She loved animals especially dogs and horses. She loved Frank Sinatra and met him when she was a teenager and he became the singing voice she most loved to hear. Dorothy was a wonderful daughter, Mother, Grandmother, Great Grandmother, Sister, Aunt, Cousin, Volunteer and a loyal and loving friend to many. She cherished her family. She was an integral part of her grandson Miles’ life, who was her “sweet boy”, and loved her great-grandson Max whom she lovingly called “Mickey Mouse”. She was a very giving and empathetic person, and her generosity of spirit included 20 years as a Hospice volunteer, comforting others, Cosgrove’s Kitchen through her church, Our Lady Queen of Peace, supporting worthy causes with donations to Feed the Children, St. Jude’s Children’s Research Hospital, Bread for America, Doctors Without Borders, Salvation Army, St.Vincent De Paul and anyone she could who needed a helping hand. She was kind, compassionate and loving, with the most beautiful blue eyes and sweet smile, never saying a harsh word about anyone, she personified class and elegance that made her so beautiful inside and out. She was so brave…She never complained, never. Dorothy was an angel on this earth and will be missed beyond words. She was preceded in death by her parents, Clarence and Marie Lopinot, her son- in- law, Stephen Hodge, her brother, Alvin Lopinot, her sister-in-law, Marge Lopinot, and her brother-in-law, Cletus Mueth. nieces, Mary (Ron) McClintock, Ann (Jeff) Ayers, and first cousin, Jack (Cheri) Emge. With deep gratitude to the medical staff of Hospice of Southern Illinois, especially Patrick and Cathy, for their kindness and compassionate care. A special thank you to her devoted sister Joan. Memorials may be made to Hospice of Southern Illinois, St. Jude’s Children’s Research Hospital, Feed the Children, Doctors Without Borders, St. Vincent De Paul, Salvation Army or Belleville Area Humane Society. Condolences may be expressed to the family online at www.rennerfh.com. Visitation: Friends may visit from 4 to 8 p.m. Tuesday, April 9, 2019, at George Renner & Sons Funeral Home, Belleville, IL, and from 10 to 11 a.m. Wednesday, April 10, 2019, at Our Lady Queen of Peace Catholic Church, Belleville, IL. Funeral: A Mass of Christian Burial will be held at 11 a.m. Wednesday, April 10, 2019, at Our Lady Queen of Peace Catholic Church, Belleville, IL, with Rev. Matthew Elie and Rev. Gene Neff concelebrating. I met Dorothy on a trip to Italy and afterwards we met with fellow travelers every few months at Olive Garden. What a delightful lady she was. She was awed by the beauty of the Vatican, I remember she fell while climbing over a rope as she was taking a video, she protected that camera like it was her baby. She was not hurt, just maybe a bit embarrassed. I can't tell you how much we all enjoyed her company. My sincere condolences. Sorry For Your Loss. Please accept this electronic message in lieu of a Sympathy Card. Local National Active and Retired Federal Employees Association (NARFE) volunteers provide help in reporting the death of any federal civilian retiree or a retiree’s spouse to proper authorities. They will explain the process as needed and if requested, can report the death to the Office of Personnel Management (OPM 888-767-6738) for you. They can also assist in filling out claim forms for survivor benefits and life insurance You may call either of our Service Officers, Jim Haley at 618 795-5174 or Dean Hemmer at 618 233-3819. If unable to reach either, you may call Gene Wiggins at 618 566-7980.